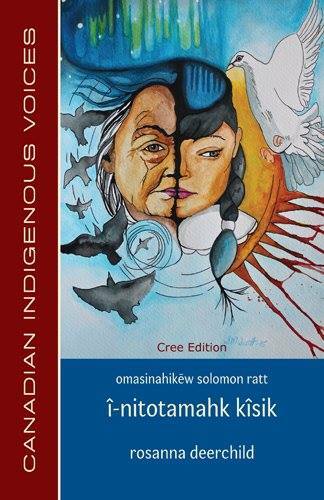 It’s so exciting to learn that the Cree edition of Rosanna Deerchild’s Calling Down the Sky – lovingly translated into th-dialect by the esteemed Solomon Ratt is ready for a launch at Winnipeg’s McNally Robinson on October 29th. Rosanna said early on that one of her goals in collecting her mother’s stories was giving them back to her in the Cree language that was stolen from her at Residential School. Solomon’s translation work was essential to this goal. This entry was posted in Books for Advanced Readers, Solomon Ratt. Bookmark the permalink.